In the shadows of the Estense palaces in Ferrara arose the remarkable concerto grande of the convent of San Vito, “universally celebrated by many and diverse musicians from Italy and abroad” (in the words of the contemporary composer Artusi). There were at least 23 musicians: “Cornetts, Trombones, Violins, Viole bastarde, Double Harps, Lutes, Crumhorns, Flutes, Harpsichords, and voices, all at one time.” The Concert Mistress conducting this ensemble was Raphaella Aleotti, the first Italian nun to have published any music. 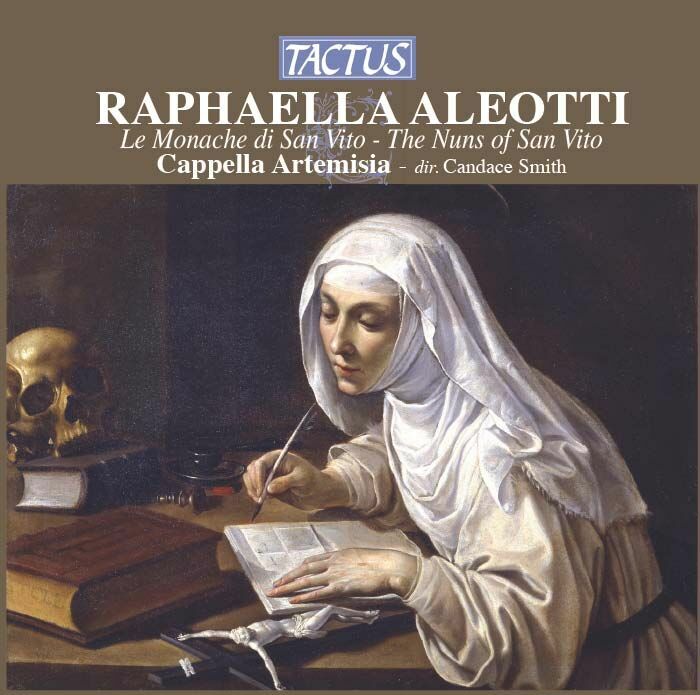 In the same year (1593) in which her Sacrae cantiones appeared, a collection of madrigals was published by Vittoria Aleotti, now believed to be the same woman using first her secular and then her monastic name. 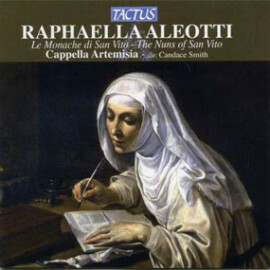 This recording has involved the participation of 9 singers as well as players of virtually every instrument associated with her convent (quite coincidentally, 23 musicians), and also includes pieces composed by her well-known teacher, Ercole Pasquini, in addition to others by various composers dedicated to the musical nuns of Ferrara.